By Ian Packham, Ian is an adventurer, award-winning travel writer and motivational speaker. He was awarded runner-up in National Geographic Traveller (UK)’s annual travel writing competition in 2013, and among other things has contributed to Bradt’s Bus-Pass Britain Rides Again and Roam Alone anthologies. His biggest adventure to date was the first solo and unassisted circumnavigation of Africa by public transport, a journey of thirteen months and 25,000 miles. The book, Encircle Africa: Around Africa by Public Transport, is published in ebook and paperback. Visit www.encircleafrica.org for more. Toulon has some intimidating neighbours. Nice, Cassis, Cannes, Antibes and Marseille are all in easy reach. As are San Tropez, Monaco, and the famed Bandol wine-producing region. I’ve even heard it joked that the best thing about Toulon is its connection to France’s TGV high-speed rail network, all the better for leaving as quickly as possible. This humour belies the fact that the often ignored Provençal city on the Côte d’Azur has managed to caste off its image of dreary post-war tower blocks to appeal to a new generation of international visitor. 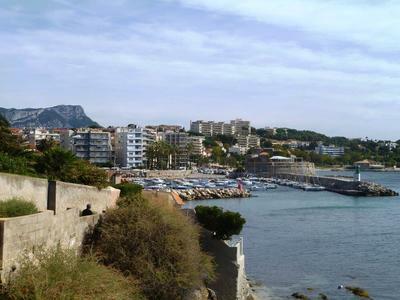 Toulon is a destination that gives a clue to the spirit if not the very soul of the Fifth Republic in a way its neighbours perhaps no longer can. 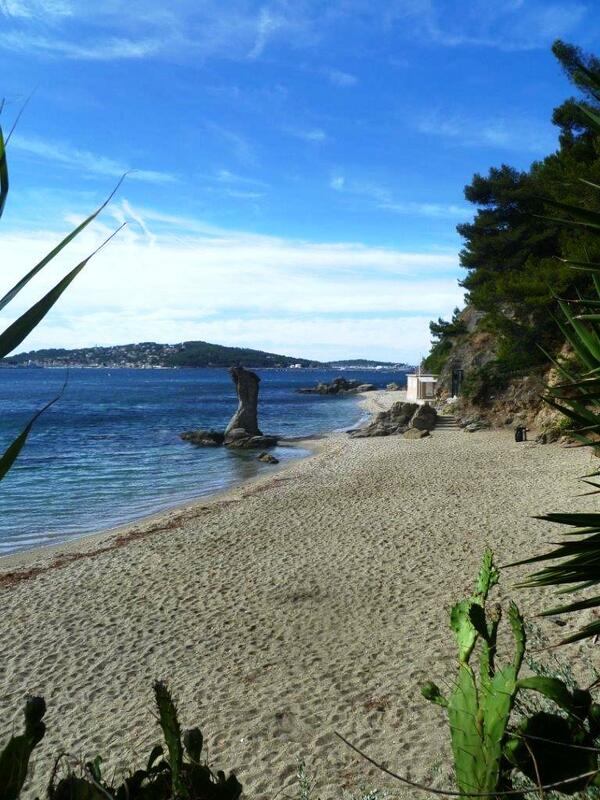 With more sunshine that anywhere else in France, its curved sand beaches attract more than just locals. 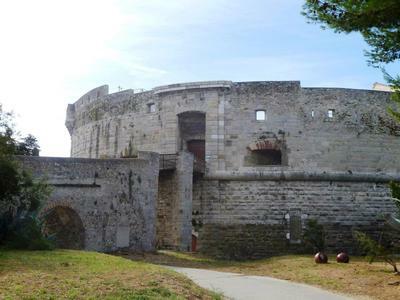 The French Presidency had a retreat just a short distance down the coast at Fort de Brégançon until it was opened to the public as a museum in 2013. Despite this and their close proximity to the city centre, beaches such as Mitre beach can still be found empty during the summer months. Perhaps this is because the city hasn’t heard British voices in any great number save for passengers on excursion from visiting cruise ships since the Royal Navy laid unsuccessful siege in the aftermath of the French Revolution, a siege that was overcome by a young captain by the name of Napoleon Bonaparte. 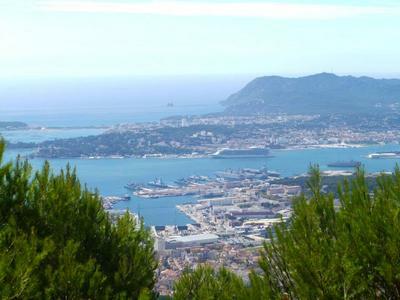 The vast and beautiful harbour that allow cruise ships to dock is the feature that has done more than any other to make Toulon what it is today. The city’s foundation can be traced back to the earliest years of the Roman Empire when it was an important manufacturing base of the dye imperial purple. It wasn’t until the 1500s, when Provence became part of the Kingdom of France, that its strategic position and large natural harbour saw Louis XII construct the Tour Royale at the eastern entrance to the harbour close to Pointe de Pipady in order to defend it. 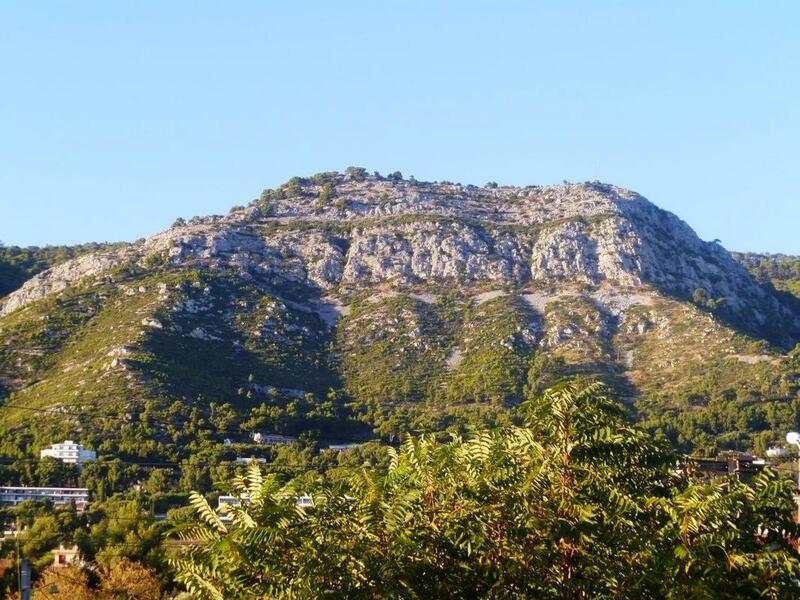 The squat round stone tower provides fantastic panoramic views across the coastline, and the sentier de littoral footpath links it to Mitre beach and the beaches of Le Mourillon. 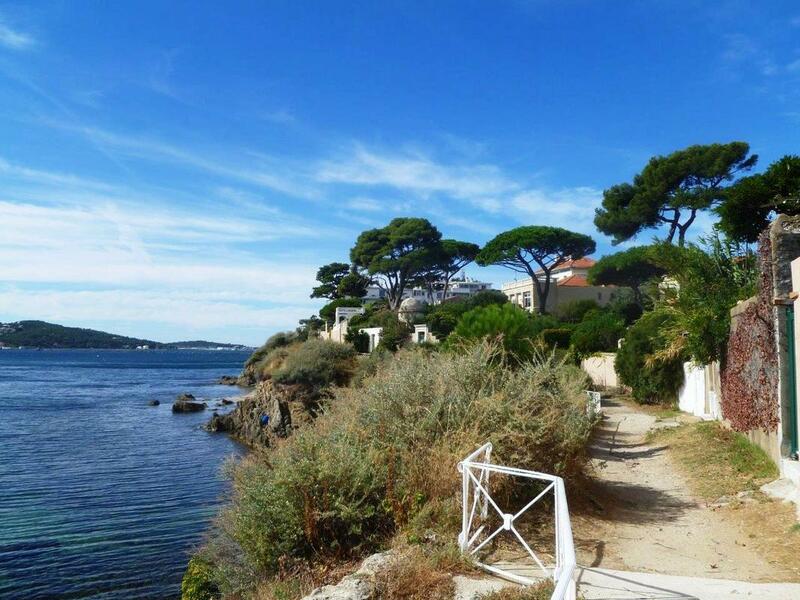 Formerly a small fishing village, the passing centuries have seen it become a seaside Toulon neighbourhood centred around the sixteenth-century Fort Saint Louis and the equally attractive villa that houses the Museum of Asian Art. 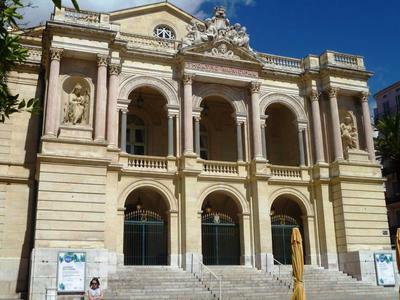 Located at the heart of the harbour area, behind the monumental gateway of Toulon’s Arsenal, the National Navy Museum was founded while Napoleon was emperor to tell the story of the harbour, still one of France’s most important naval bases. It is also one of the few buildings in the city to survive Allied bombardment between 1939 and 1945 unscathed. It was in Toulon harbour that the French fleet undertook the astonishing and selfless act of destroying itself in 1942 to prevent it falling into the hands of the Nazi regime, and where Free French forces began the liberation of southern France two years later. This event is remembered in another museum, the thought-provoking Memorial Museum to the Landings in Provence, on Mount Faron. A hair-raisingly narrow road (used in the annual Paris-Nice and Tour Méditerranéen cycle races) leads to the 584 metre (1916 feet) summit of the mountain, as does a less precarious cable car that will have you at the top, amid the sweet-smelling pine trees, butterflies and bird calls in a little over five minutes. A haven from the city below, picnic tables on the crest of Mount Faron provide an excellent starting point for signposted walks of varying lengths with views of the externally-framed bells that sit atop many of the city’s buildings. 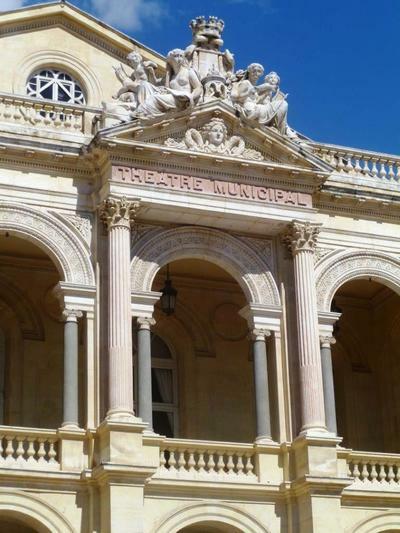 A tour that shouldn’t be missed is a walk around the centre of Toulon itself, taking in its fountains and Provençal market. With stalls open each morning, the market on Cours Lafayette provides a source for many of the region’s specialities, including the cade toulonnaise, a type of pancake made from chickpea flour. As well as providing a source of fresh drinking water for the warmer months, Toulon’s fountains add architectural interest to the old town’s small squares. Each has a different design and character, and many date back to the late seventeenth century. 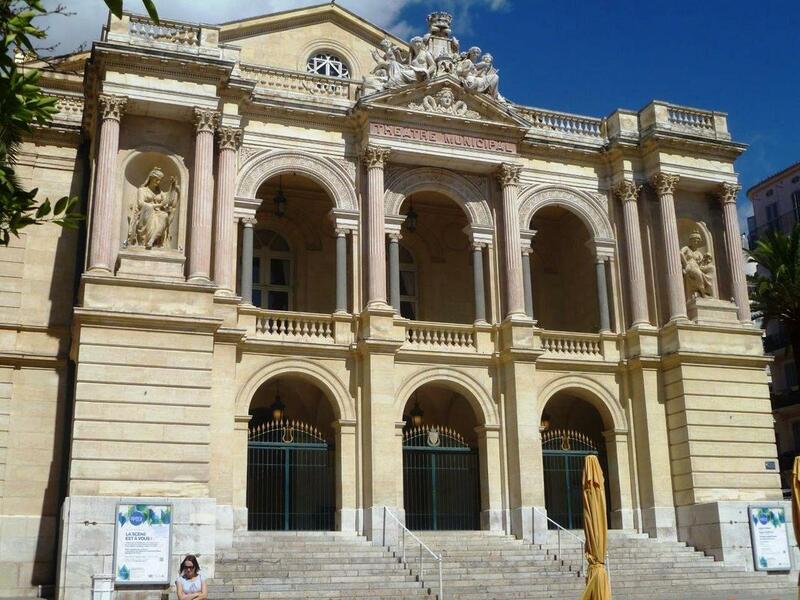 If much of the rest of Central Toulon, around the Opera House, has a Parisian feel, it might be because the area was rebuilt in the later nineteenth century by Baron Haussmann, the man who went on to rebuild the French capital and creating the grand thoroughfares such as the Champs-Élysées as we know them today. Far from being a city to escape, more and more visitors are realising the reasons to stay and linger in Toulon. Its high-speed rail connections make that all the easier, whether as part of a longer multi-centre trip or as a self-contained holiday.